Frank Laurence Lucas (28 December 1894 – 1 June 1967) was an English classical scholar, literary critic, poet, novelist, playwright, political polemicist, Fellow of King's College, Cambridge, and intelligence officer at Bletchley Park during World War II. He is now best remembered for his scathing 1923 review of T. S. Eliot's The Waste Land, and for his book Style (1955; revised 1962), an acclaimed guide to recognising and writing good prose. His Tragedy in Relation to Aristotle's 'Poetics' (1927, substantially revised in 1957) was for over fifty years a standard introduction. His most important contribution to scholarship was his four-volume Complete Works of John Webster (1927), the first collected edition of the Jacobean dramatist since that of Hazlitt the Younger (1857), itself an inferior copy of Dyce (1830). Eliot called Lucas "the perfect annotator"; and subsequent Webster scholars have been indebted to him, notably the editors of the new Cambridge Webster (1995–2007). Lucas is also remembered for his anti-fascist campaign in the 1930s, and for his wartime work at Bletchley Park, for which he received the OBE. Except in reviews of work by contemporaries, early examples of which appear in Authors Dead and Living (1926), Lucas adopted the historical and biographical approach to criticism and examined the views of earlier critics, whose dogmatism he was swift to rebut. He increasingly linked his studies to developments in Psychology, notably in Literature and Psychology (1951). "The real 'unwritten laws'," he observed, "seem to me those of human psychology." Centrally, he discussed the writer's psychology as revealed through style. "Even science has invented no pickle for embalming a man like style," he noted. The poets to whom he returned most often in publications were Tennyson (1930, 1932, 1947, 1957) and Housman (1926, 1933, 1936, 1960), but he ranged widely over Classical, European and English literature. Conscious that books can influence for good or ill, he admired authors he saw as defenders of sanity and good sense – men like Montaigne and Montesquieu – or as compassionate realists, like Homer in the Iliad, Euripides, Hardy, Ibsen and Chekhov. "Life is 'indivisible'," he wrote. "A public tends to get the literature it deserves: a literature, to get the public it deserves. The values men pursue in each, affect the other. They turn in a vicious, or a virtuous, circle. Only a fine society could have bred Homer: and he left it finer for hearing him." His criticism, while acknowledging that morality is historically relative, was thus values-based. "Writers can make men feel, not merely see, the values that endure." Believing that too many modern writers encouraged men and women to flee to unreason, decadence and barbarism, he condemned the trahisons des clercs of the twentieth century, and used his lectures and writing to campaign for a responsible use of intellectual freedom. "One may question whether real civilisation is so safely afloat," he wrote in his last published letter (1966), "that we can afford to use our pens for boring holes in the bottom of it." The writer or artist serving up "slapdash nightmares out of his Unconscious", "in an age morbidly avid of uncivilised irreticence", not only exhibited his own neuroses, but fed neurosis in others. Literary critics, too, had to take more responsibility. "Much cant gets talked," he noted of the Structuralists, "by critics who care more for the form and organisation of a work than for its spirit, its content, its supreme moments." The serious note in his criticism was counterbalanced by wit and urbanity, by lively anecdote and quotation, and by a gift for startling imagery and epigram. What Lucas wrote about Housman's Name and Nature of Poetry in 1933 (though he contested some of its ideas) sums up what he himself aspired to as a literary critic: "… the kind of critical writing that best justifies itself before the brevity of life; that itself adds new data to our experience as well as arguing about the old; that happily combines, in a word, philosophy with autobiography, psychology with a touch of poetry – of the ‘poetic’ imagination. It can make acceptable even common sense. There are sentences here which recall the clear-cut Doric strength of the Lives of the Poets ..."
His Cambridge colleague T. R. Henn noted that Lucas's approach and style were influenced by the Strachey of Books and Characters (1922). Lucas's 1923 review of The Waste Land, much reprinted in the decades since his death, was omitted from his Authors Dead and Living (1926), a collection of New Statesman pieces, probably because he had ended by saying the poem should be left to sink. Remarks elsewhere confirm that he had not changed his opinion. Described by F. W. Bateson as "brilliantly wrong-headed", the review is better known today than it was during Lucas's lifetime. His only other comment on the poem occurs in his essay 'English Literature' in the volume University Studies: Cambridge 1933, where he contested I. A. Richards' view of it in Science and Poetry (1926): "The Waste Land is praised [by Richards] for its 'complete severence' from 'all beliefs', when it is really a yearning cry for them, and at its close some sort of faith is so clearly impending that it has been praised by others as a great religious poem (such are the triumphs of obscurity)." The Letters of T. S. Eliot  includes correspondence between Eliot and Lucas but no reference to the review. Historians of The New Statesman have regretted that Desmond MacCarthy invited Lucas to review modern poetry, one of them declaring Lucas "a disastrous choice" for a Waste Land review. (Disastrous, that is, for the journal's avant-garde image.) After 1923, though attacking obscurantism in general terms, Lucas largely ignored Eliot's poetry, aside from a retrospective dig in 1942 at 'The Hollow Men' ("hollow men whimpering under prickly pear trees, conceited still amid their grovellings because a prickly pear remains an exotic and highly intellectual plant" ) and at 'Sweeney among the Nightingales' ("the nightingales of Aeschylus now exhibit to a ravished public their 'droppings'; for to the sewer all things are sewer" ). On the later Eliot he was silent. He had no time for mystical poetry, regarding religion as an aberration of the human mind. In 1928 Lucas had been stung by Eliot's review in the Times Literary Supplement criticising aspects of the Introduction to his Webster. He replied vigorously in the same journal, only to find Eliot extending his criticisms in another review in The Criterion. Lucas counter-attacked in his 1929 essay 'Modern Criticism', ridiculing Eliot's literary-critical obiter dicta and hieratic tone. In later impressions of his essays, Eliot made minor changes or added clarifications to sentences Lucas had ridiculed, and praised the textual and historical scholarship of the 1927 Webster. Lucas left the Introduction out of his 1958 revised editions of the two major plays, but demand for the unabridged 1927 Webster continued, and it was reprinted on both sides of the Atlantic in 1966. Lucas's standing as a literary critic was probably at its highest in the 1930s [see Career, below]. "In three respects," the Times Literary Supplement noted in 1934, "Lucas rises pre-eminent from the crowd of contemporary critics: in his care for style, for dignity and grace in his method of presentment: in his learning in the literature of several languages: and in the balance, the sanity of his judgment." Post-war, reviewers were often more hostile. Many post-war reviews amounted to reprisals by the Leavisite camp: "There is an air of breezy Bloomsbury superficiality and cultural omniscience about this book that is distressing," wrote one. "His is the type of over-cultivated fuddy-duddy mind that has done – and is doing – great damage to our whole culture in general and to literary appreciation in particular." Probably because, psychoanalytic literary criticism aside, Lucas scorned most new trends – he described the critical theory of the 1950s as "largely pseudo-scientific bubble-blowing" – his criticism has long been out of fashion and is mostly out of print. "His criticism is the table-talk of a man of the world of fine taste and faultless memory. And he has to an exceptional degree the gift of creating and communicationg an enjoyment of literature. It is impossible to put his books down without a grateful determination to reread those masterpieces of literature he describes and illustrates so engagingly." "The literary world has passed on," wrote L. P. Wilkinson, "but that does not mean that what supervened was better; and just because of his uncompromising brilliance the whirligig of time may bring in his criticism again. His Style (1955) has a permanent value in any case, unaffected by trends." Style is now back in print (2012). His two earliest books, Seneca and Elizabethan Tragedy (1922) (his Fellowship dissertation) and Euripides and His Influence (1923), not yet superseded in similar concise form, continue to be reprinted. The editors of the new Cambridge Webster (1995–2007) praise "his customary accuracy and astuteness" in matters of dating, authorship, and textual scholarship. "With its voluminous and marvellously wide-ranging notes," writes D. C. Gunby, "Lucas's four-volume, old-spelling edition remains essential reading for those who love scholarship and, more, love the plays of John Webster". Lucas dedicated much of his time to making classical (mainly Greek) poetry accessible to modern readers through verse translations. His companion volumes Greek Poetry for Everyman (1951) and Greek Drama for Everyman (1954) contain some 20,000 lines. No single translator had attempted before to bring together in homogeneous volumes so much of the best of Greek poetry from Homer to the 6th century A.D., with the introductions and notes needed by the non-classicist. The translations were praised for their grace and fidelity – "the sense and the imagery are minutely reproduced" (The Classical Review ) – and were hailed by the press as Cambridge's single-handed answer to the [collaborative] Oxford Book of Greek Verse in Translation. Lucas's versions, however, presuppose a taste for a poetic style closer to Morris than to Pound. Reviewers generally preferred his translations of lyric, Alexandrian and later poetry to the 7,000 rhymed lines from Homer, which were omitted from the second edition (Everyman Library, 1966). "Lucas makes the plays deceptively easy to read and appreciate," wrote a reviewer of the second volume, "by smoothing away the austerities and complexities of the Greek – qualities which some modernists conscientiously preserve or even exaggerate." The translation of Hippolytus remains in print in the Penguin selection, Eight Great Tragedies, ed. Sylvan Barnet. As a poet Lucas was a polished ironist. Early collections were mostly personal lyrics or satires, but he came to specialise in dramatic monologues and narrative poems based on historical episodes "that seem lastingly alive". 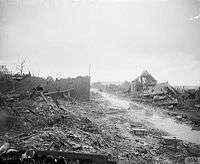 His First World War poems, including 'Morituri – August 1915, on the road from Morlancourt' (1935) and (below) ' "The Night is Chilly but not Dark" ' (1935), offer a retrospect of his experiences at the front. A dull machine-gun raps from La Boisselle. And hands that worked with mine, dust long ago. Its appearance in various mid-twentieth century anthologies of English verse has made 'Beleaguered Cities' (1929) Lucas's best-known poem. Others that have gained currency through anthologies include 'The Destined Hour' (1953), a re-telling in verse of the old 'appointment in Samarra' fable, and 'Spain 1809', the story of a village woman's courage during the French occupation in the Peninsular War. His most ambitious poem was Ariadne (1932), an epic re-working of the Labyrinth myth. Simon Tidworth in The Quest for Theseus summarises: "Lucas invents another sweetheart for Theseus, Aegle, one of the sacrificial maidens who accompany him to Crete. The real stroke of originality is to make the Minotaur Minos himself in a bull-mask. On Naxos Ariadne learns of Theseus's earlier love for Aegle, and decides to leave him while the image of her own love is still fresh. An ordinary love-affair is not what she wants; she has to seek the Ideal [Dionysus]." Lucas's most successful play was the thriller Land's End, set in Cornwall in the mid-1930s (Westminster Theatre, February–March 1938, 29 performances, with Cathleen Nesbitt, Cecil Trouncer and Alan Napier among the cast) – "as full of drama as an egg is full of meat", noted The Stage. One of Paul Scofield's earliest roles was in the Birmingham Rep's revival of the play in March–April 1945. The Bear Dances: A Play in Three Acts was the first dramatisation of the Soviets on London’s West-end stage (Garrick Theatre, October–November 1932, with Elena Miramova, Abraham Sofaer and Olga Lindo). This play, though it closed early in London, was revived by various repertory theatres in the North of England in the later 1930s. It was an attempt at ideological disinfectant, written at a time when Cambridge University (in Lucas's words) "grew full of very green young men going very Red". Outside literature, Lucas is remembered for his solution to one of the more contentious problems of ancient topography. His "north-bank" thesis on the location of the Battle of Pharsalus (48 B.C. ), based on his 1921 solo field-trip to Thessaly and on a re-examination of the sources, dismissed a dozen previous theories and is now widely accepted by historians. John D. Morgan in his definitive 'Palae-pharsalus – the Battle and the Town' writes: "My reconstruction is similar to Lucas’s, and in fact I borrow one of his alternatives for the line of the Pompeian retreat. Lucas’s theory has been subjected to many criticisms, but has remained essentially unshaken." Are our minds clear, or are we drifting foggily into another 1914? It was because England hedged then, that we all but perished in the ditch beyond. "but one thing surely comes first: Germany must not be allowed to re-arm. How prevent it? By an international police-force? It would be ideal. Unfortunately it does not exist. The French have urged it. We in our muddle-headedness want neither it nor the alternative – war. Are we prepared to see France do its work instead and take action in Germany? – or are we going to sit sanctimoniously on the fence, disapproving, but secretly relieved? I devoutly hope the first. Germany must not re-arm; even if the French had to invade it once every five years, that would be better than the alternative." As well as letters to the press (some forty in all) his campaign included satires, articles, books, public speaking, fund-raising for the Red Cross, petitions to Parliament, meetings with émigrés like Haile Selassie and Stefan Zweig, and help for refugees. In these activities he was inspired by the example of "that grand old man" H. W. Nevinson, "one of the most striking personalities I have ever known", "whose long life has been given to Liberty". "Even if what he did were the right thing to do, this was not the way to do it." "The surrender might have been necessary: the cant was not. Any statesman with a sense of honour would at least have stilled that hysterical cheering and said: My friends, for the present, we are out of danger. But remember that others, who trusted in us, are not. This is a day for relief, perhaps; but for sorrow also; for shame, not for revelling. But this Chamberlain comes home beaming as fatuously as some country-cousin whom a couple of card-sharpers in the train have just allowed to win sixpence, to encourage him." The outcome he most feared was an Anglo-German peace agreement – an accord between Nazis and British Conservatives: "One day a little note from Berchtesgaden will appoint Lord Londonderry to 10 Downing Street. And that will settle everything." Though he welcomed the Government's about-turn on Appeasement in March 1939, he doubted the genuineness of the conversion. "The noble lords of our Fifth Column still go marching on." The Nazis had noted Lucas's letters – in August 1939 he received a reply from Goebbels, advising him to heed British public opinion. As a leading anti-fascist campaigner, Lucas was placed by the Nazis on their Sonderfahndungsliste G.B. [:Special Search List G.B.] of Britons to be arrested and liquidated. A 1939 Lucas letter from 'Room 47, Foreign Office' [:Bletchley Park], throwing a correspondent off the scent. A brilliant linguist with infantry and Intelligence Corps experience from 1914–18, proven anti-fascist credentials and a scepticism about the Soviet Union, Lucas was one of the first academics recruited by the Foreign Office – on 3 September 1939 – to Bletchley Park. 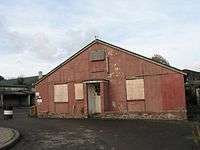 He was one of the original four members of Hut 3, whose organisation he set up, and from March to July 1942, when the Hut was run by committee, acting head. He remained a central figure there, working throughout the war on the Enigma decodes as translator, intelligence-analyst and (from July 1942) head of the Research Section, 3G [:Hut 3 General Intelligence], on the busy 4 p.m. to 1 or 2 a.m. shift. His main activities in 3G were cracking Axis covernames and covernumbers in decodes, analysing German "proformas" (supplies and ammunition returns), and writing general intelligence papers. "that the object of these large movements of the German Army and Air Force is Russia. From rail movements towards Moldavia in the south to ship movements towards Varanger fjord in the far north there is everywhere the same eastward trend. Either the purpose is blackmail or it is war. No doubt Hitler would prefer a bloodless surrender. But the quiet move, for instance, of a prisoner-of-war cage to Tarnow looks more like business than bluff." ― Hut 3 translators' jest, on receiving a decrypted Enigma signal in unusually straightforward German. Other Lucas papers ranged from practical suggestions, such as the proposal that the Salonica-Athens railway be cut in the Oeta gorges viaducts (carried out in Operation Harling), to psychological overviews later in the war, like 'Hitler as seen by Source' [:through decodes] and 'German Morale as seen by Source' (his old special subject from 1918 Intelligence Corps days). He also wrote confidential Special Reports for the Bletchley Park Director-General, one on Second Front rumours in German signals, and another, with Peter Calvocoressi, in early 1945 on the failure of Allied intelligence to foresee the German counter-offensive through the Ardennes in December 1944. Lucas and Calvocoressi concluded that Bletchley Park had accurately reported German preparations without recognizing their import, and that "the costly reverse might have been avoided if Ultra had been more carefully considered". E. J. N. Rose, head Air Adviser in Hut 3, read the paper at the time and described it in 1998 as "an extremely good report" that "showed the failure of intelligence at SHAEF and at the Air Ministry". The report is not known to have survived. Lucas and Calvocoressi "expected heads to roll at Eisenhower's HQ, but they did no more than wobble". The most "exciting" work he did at Bletchley Park, he recalled, was handling operational signals on Axis convoys to North Africa from July 1941 and deducing convoys' routes using decrypts, maps, pins and pieces of string. (The cracking of covernumber Point 51, for example, helped identify the route of the fast Axis troopships MV Neptunia and MV Oceania, sunk by HMS Upholder on 18 September 1941.) The high standards of accuracy and clarity that prevailed in Hut 3, his chief maintained, were "largely due to [Lucas's] being such a stickler" for them. In out-of-hut hours Major Lucas was Officer Commanding the Bletchley Park Home Guard, a "rabble of egg-heads" that he turned, contrary to stereotype, into an efficient unit that outwitted the local regular forces in military exercises. From May 1945 to the end of the War he was head of the Hut 3 History Section, compiling a 'History of Hut 3', now documents HW3/119 and HW3/120 in the National Archives. He was awarded the OBE in 1946 for his wartime work. "The finest human qualities are endangered, because the size of populations increases, and ought to be diminished; the size of states increases, and ought to be diminished; the size of cities increases, and ought to be diminished. Vast communities lead to small individuals; and the real worth of any community lies in the worth of its individuals... The individual comes to feel himself a mere drop in the ocean; and feeling impotent, he grows irresponsible... Vast democracies cannot keep the virtues of democracy." "The more populous the world and the more intricate its structure, the greater must be its fundamental insecurity. A world-structure too elaborately scientific, if once disrupted by war, revolution, natural cataclysm or epidemic, might collapse into a chaos not easily rebuilt." If population-growth went unchecked, he felt, "the damage to national efficiency might drive governments to act more intelligently"; but better would be "a concentrated drive for population-planning, despite the formidable practical, scientific and psychological obstacles". "Far more, however," he added, "depends on the individual and his power to realise his own plight. Hence the need for constant and frank discussion, instead of leaving the subject, as now, in a conspiracy of uneasy silence; and the need for patient and tireless propaganda against man's reckless propagation." He singled out the Vatican for particular criticism. "Common sense percolates," he had written in 1934, "despite the Roman Church; which with its half-cynical sense of reality will doubtless end by swallowing the inevitable, as with Copernicus and Darwin, and evolve some doctrine of Immaculate Contraception." He later pointed out the illogicality of the doctrine declaring it lawful to juggle with the calendar but otherwise unlawful to practise contraception. He was not optimistic about post-war immigration: "Persons of liberal principles are shocked if one views this influx with misgiving. But the advantages are far from certain. Principles, however liberal, are no substitute for common sense." Looking towards Fricourt and Mametz, from British trenches, 22 June 1916, by George Spencer Hoffman (1875-1950). F. L. ("Peter") Lucas grew up in Blackheath and was educated at Colfe's, where his father F. W. Lucas (1860–1931) was headmaster, and from 1910 at Rugby, where he was tutored by the Sophocles scholar Robert Whitelaw (1843–1917) in his last year before retirement. He won a scholarship to Trinity College, Cambridge in 1913 to read for the Classical Tripos, adding the Pitt Scholarship in his first term and the Porson Prize in 1914. In January 1914 he was elected Apostle – the last Apostle elected before the War – coming under the influence of G. E. Moore. 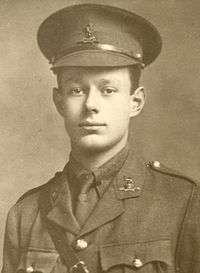 Believing Cambridge threatened with the fate of Louvain, he volunteered, aged 19, in October 1914 and was commissioned, serving from 1915–17 as lieutenant in the 7th Battalion The Royal West Kent Regiment in France. From August 1915 he was in the Somme trenches opposite Fricourt and Mametz; he was wounded by shrapnel in May 1916. He returned to the front in January 1917, went into battle near Grandcourt on 17 February in the Ancre Offensive, was mentioned in despatches on 22 February, and was gassed on 4 March. In all he spent seventeen months in war-hospitals. By September 1917 he felt that the cause of honour and justice had been lost in the lust of Victory ("We were too ready to go on fighting without offering terms" ). Passed fit for garrison duty at Chatham, he sought the help of fellow-Apostle John Maynard Keynes to return to France, and from August 1918 to the Armistice he was Staff lieutenant in the Intelligence Corps (Third Army HQ), examining German prisoners near Bapaume and Le Quesnoy. His life hung in the balance in November 1918 shortly after the Armistice, when his lung wounds reopened in the influenza pandemic. He returned to Cambridge in January 1919. Fell-walking in the Lake District "on Easter morning  on Kidsty Pike, between Hawes Water and Hayes Water, a blinding spring sun on snowy ridge beyond ridge, from Fairfield to Blucathra, brought a moment of such ecstatic intoxication that, were I a mystic, I should have called it a mystical experience." Resuming his undergraduate studies, Lucas won a Chancellor's Medal for Classics and a Browne Medal, and revived meetings of the Apostles, suspended since 1914, becoming Society Secretary and contributing nineteen papers. He was elected to a Fellowship at King's College in 1920 before he had completed his degree, John Maynard Keynes personally paying for him to holiday in Greece with Sebastian Sprott on the eve of his Tripos. He took a starred first. 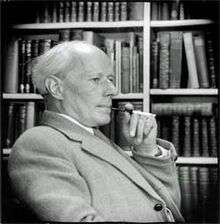 He began his career as a Classics lecturer, switching in 1921 to the newly formed Cambridge University English Faculty, of which he was a member from 1921–1939 and from 1945–1962. He was a University Reader in English from 1947–1962. His move from Classics to English and his edition of Webster were inspired in large part by J. T. Sheppard's seminal March 1920 Marlowe Society production of The White Devil, which made a powerful impression on him. "He has been lucky in finding a writer [Webster] who takes his standpoint," T. E. Lawrence noted of Lucas, "and sums up life rather in his fashion." Lucas's preference, however, lay with Comparative Literature, and after Webster he turned to Studies French and English (1934; revised 1950). He was Membre Correspondant Honoraire de L'Institut Littéraire et Artistique de France. As part-time Librarian at King's (1922–36) he accessioned the donated papers of Rupert Brooke. His students at King's included George Rylands, John Hayward, F. E. Halliday, H. C. A. "Tom" Gaunt, Alan Clutton-Brock, Julian Bell, Winton Dean, Desmond Flower and Christopher Burstall. At the invitation of its literary editor, Desmond MacCarthy, he reviewed poetry and criticism for the New Statesman from 1922 to 1926, having begun his career as reviewer with the Athenaeum in 1920–21, its last year, under the aegis of John Middleton Murry. Following the publication of his Webster, scholars turned to him for editorial advice: he helped in the preparation of, among other volumes, Hayward's Nonesuch Donne (1929), Housman's More Poems (1936), and Theodore Redpath's acclaimed Songs and Sonets of John Donne (1956). He also performed an editorial and advisory role for Christopher Sandford at the Golden Cockerel Press, where he introduced Victor Scholderer's New Hellenic typeface (1937). A number of his verse translations from Greek and Latin, with engravings by John Buckland Wright, were published in collectors' editions by the Golden Cockerel Press and Folio Society. In the middle years of his career he was much in demand as an invitation lecturer, giving seven BBC wireless talks in 1930, on Dorothy Osborne and on the Victorian Poets, delivering the 1933 Warton Lecture on English Poetry to the British Academy, lecturing at the Royal Institution on Classicism and Romanticism (1935) and at the Royal Society of Literature on travel writing (1937), and, as part of a British Council drive to counter Soviet propaganda, lecturing in German on European literature to packed halls at the British Information Centre in West Berlin in October 1948 during the Berlin Blockade. In later years he turned encyclopedist, contributing articles on 'Poetry', 'Epic', 'Lyric', 'Ode', 'Elegy' and 'Pastoral' to the 15-volume 1950 Chambers's Encyclopaedia, among others, and serving on the editorial board of the Encyclopædia Britannica's Great Books of the Western World series (1952). As he told Nikos Kazantzakis, who visited him in Cambridge after the War, Je ne lis plus; je relis [:I no longer read; I reread]. "The society of Virginia and Leonard Woolf, Duncan Grant, Clive and Vanessa Bell, and Lytton Strachey was far from being in the ordinary sense a happy family. They were intensely and rudely critical of each other. They were the sort of people who would read letters addressed to others. They tormented each other with endless love affairs. In real crises they could be generous, but in ordinary affairs of life they were anything but kind ... Dickinson and Forster were not really Bloomsbury. They were soft-hearted and kind. Bloomsbury was certainly not that." "Considering what was to come, the much-abused 'theft' of the sculptures from the Acropolis by Lord Elgin was an undoubted blessing, though it was carelessly carried out, especially in removing the Caryatid from the Erechtheum; it would none the less be a graceful act for England to return them now to Athens." Prudence Lucas, as well as sharing these interests, also designed the costumes and sets for the first production of his Icelandic tragedy The Lovers of Gudrun. Her nervous breakdown in 1938 is touched on in Journal Under the Terror, 1938; Lucas sought help from, among others, Wilhelm Stekel, whom he met in London in 1939, but the rift proved irreparable. The emphasis on psychology in his post-war books – Literature and Psychology, Style, The Search for Good Sense, The Art of Living, the essay on 'Happiness' in The Greatest Problem – reflects an interest shared with his third wife (1940–1967), the Swedish psychologist Elna Kallenberg (1906-2003), whom he married in 1940 – "the stranger who came to me from beyond the sea when I most needed her" (Elna Kallenberg had flown from Sweden, with special permission from the Home Office, to join him in late 1939). They had two children, Signe and Sigurd. "Vitality of mind and body; the activity to employ and maintain them; the zest and curiosity that they can animate; freedom to travel widely in nature and art, in countries of the world and countries of the mind; human affections; and the gift of gaiety – these seem to me, then, the main causes of happiness. I am surprised to find how few and simple they are." F. L. Lucas lived at 7 Camden Place, Cambridge, from 1921–25; at 20 West Road, Cambridge from 1925–39 and from 1945–67; and at High Mead, Great Brickhill from 1939–45. The dissident Czech academic Otakar Vočadlo (1895–1974), Lucas's Prague correspondent in 1938-39 (see Appeasement above) and a concentration camp survivor, celebrated his restoration, during the Prague Spring of 1968, to his Chair of English at Prague, by giving a course of lectures on Webster in memory of Lucas, who had died the year before and whose support for the Czech cause in 1938–39 had not been forgotten. D. W. (Donald William) Lucas, the classical scholar (1905–80), Fellow of King's College, Cambridge, University Director of Studies in Classics, and Perceval Maitland Laurence Reader in Classics, was F. L. Lucas's brother. Many honest folk feel it hard to deny the Sudetens self-determination, if they want to belong to the Reich. But then, can we deny it to the Czech areas among the Sudetens? Then what about Sudeten pockets in the Czech areas? Self-determination must stop somewhere. In politics, as in physics, you come to a point where you cannot go on splitting things. You cannot have self-determination by villages. You may split Czechoslovakia now. In a few years it will be one again. Only it will be German. That is all. What would our own answer be, supposing we were expected on racial grounds to hand over to Berlin our coastal counties from Essex to Northumberland? We should reply that any nation must defend itself against a step which would make it impossible to defend itself. You cannot by any juggling with frontiers abolish racial minorities in Europe. And you cannot totally ignore geography. It follows that where you cannot move mountains you must move men. If the Sudetens are irrevocably set on being in the Reich let them go to the Reich instead of expecting the Reich to come to them. The Germans are the later comers in Bohemia. There are precedents for such an exodus. Good Aryans may disdain to copy Moses, but within these fifteen years just such an exchange of minorities has cured, as nothing else could have cured, the secular hate of Greek and Turk. If a small, poor and barren state like Greece could absorb between one and two million refugees it is absurd to pretend that a great country like Germany, which Hitler has set flowing with milk and honey, could not do as much and more. And if the Czechs can give a home to the persecuted refugees of the Axis, so much the better. This seems to me justice. The alternative is to admit the Trojan Horse into Prague. That may be the sort of fool's wisdom called "expediency"; it is the line of least resistance; but at least let us not cant about its honesty. Undoubtedly Hitler will object. He has other aims. It is not oppression he minds; the loudest yelps about persecution come from the persecutor of the Jews. Czechoslovakia lies on the flank of the German drive to the Black Sea. Therefore, Hitler will not hear reason. A question that vitally affects all Europe should be discussed by Europe. If Hitler foams at the mere mention of the League, let it be a European conference. Only let it give full weight to those smaller Powers which have often a more disinterested sense of decency than their great neighbours. If Hitler refuses he puts himself at once in the wrong. The verdict of such a conference may not convince him; but if he cannot reason, he can count. ↑ The New Statesman published 48 signed Lucas reviews from April 1922 to Jan. 1926. He returned, briefly, for two signed reviews of authors he found congenial, Browning (22 Nov. 1928) and Beddoes (10 Dec. 1928). ↑ e.g. Anthony Thwaite (1958), G. D. Klingopulos (10 April 1959), and Bernard Bergonzi (24 June 1960) in The Spectator ; John Raymond (1 March 1958), Walter Allen (16 July 1960), and M. C. Bradbrook (8 June 1962) in the New Statesman. ↑ "For grace and style and insight into character," wrote Kathleen Tomlinson (Nation and Athenaeum, 7 June 1930), "Cécile is reminiscent of Gautier's Mademoiselle de Maupin. Only reminiscent, for Mr Lucas has a more profound philosophy, or wisdom, and is not content with the challenge and interplay of the individual, but extends his psychological understanding to classes and nations." "His extraordinary gift for delightful persiflage," noted the New York Bookman (Oct. 1930, p.173 unz.org/Pub/Bookman-1930oct-00173a02?View=PDF), "contributes not a little towards making this novel almost as dix-huitième in spirit as Manon Lescaut is in fact." Vita Sackville-West also praised the novel: "It seemed to me to be full of the deepest and truest feeling," she wrote (The Listener, 21 May 1930), "never sentimental, but always convincing and extremely moving. The relationship between Andrée and Gaston is admirably true to nature. No-one could fail to be moved by this picture of a woman struggling against her own love for a husband who disappoints and betrays her at every turn." ↑ Moral Questions Affecting Married Life: Addresses given (ewtn.com/library/PAPALDOC/P511029.HTM) October 29, 1951 to the Italian Catholic Union of midwives, and November 26, 1951 to the National Congress of the Family Front and the Association of Large Families, National Catholic Welfare Conference, Washington, DC. ↑ Lucas's WW1 memoirs are contained in his Journal Under the Terror, 1938 (1939) [pp.12-19, 38-39, 95-96, 235-236, 257-259], in The Greatest Problem (1960) [pp.143-151], and in the final chapters of The River Flows (1926). ↑ Biographical Notes, The English Association, Poems of To-day: Third Series (London 1938), p.xxvii.